A sneak peak into some fine German engineering along with some champagne in hand really makes for a perfect evening for the car enthusiast in us! 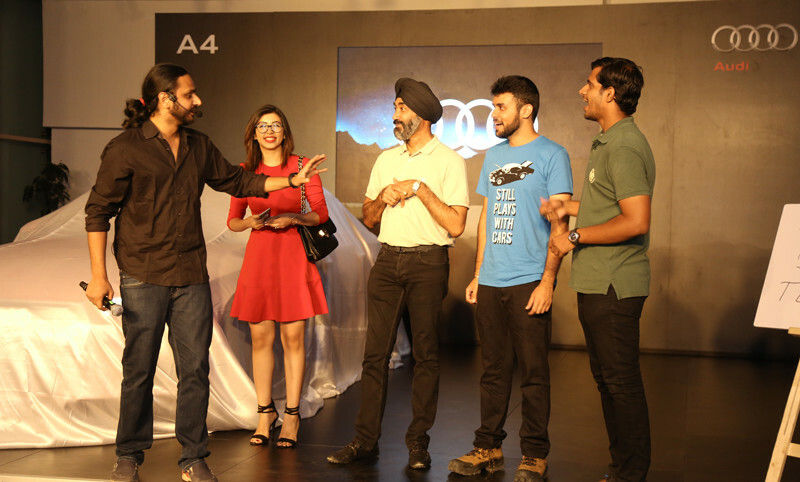 And the Audi A4 launch event at Audi Gurgaon was nothing short of perfection *starry eyed*. 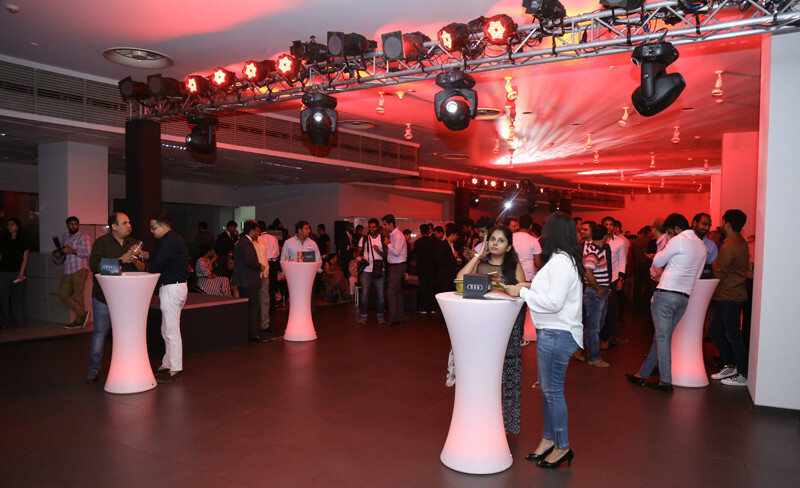 The evening hosted by the lovely Sonali Gupta welcomed Gurgaon and NCR’s top journalists, marketers, bloggers and auto-influencers as guests. We've got to give it to them - they really know how to put up a show bursting with entertainment leading up to the unveiling of the all-new edition of its already successful variant, the A4. We got to learn all about the history of Audi, the evolution of the A4, and why it's become one of the longest and most successful running models of the German automaker, while sipping on some frosty cocktails and munching away on kebabs. The evening witnessed some really cool juggling acts, but what put us on the edge of our metaphorical seats were the mind-blowing illusions by only the top psychological illusionist of the country, Karan Singh Magic, whose tricks and shenanigans we’re still trying to decipher! A little heads-up: stay away from him as he can guess your ATM pins, which does not come in handy when you’re buying an Audi, no sir! While talking about the car, we instantly fell in love with its swanky, high-tech interiors which feel so luxurious and smart, you might as well wish to live forever in it! Our favourite part is its newly-revamped dashboard and the display of navigation system (which is super precise) in the center console as well as in the tachometer area, so that you don’t have to look at another screen while driving, which makes the virtual cockpit of the car completely driver-focussed (nice!). The rear legroom is clearly way more improved than its predecessor, and the car actually weighs 95 kgs less! All in all, the A4 looks quite futuristic with the elegant wood finish and the matt chrome bits incorporated. And that's not it - the car has an exclusive surround sound system designed by none other than Bang & Olufsen. If you’re even a bit into music and audio, then you know what we’re talking about! Speaking about what lies under the hood, there's a 1.4 litre TFSI four cylinder engine with a 149 bhp of peak output and a 7-speed dual clutch automatic gearbox. The 1.4 litre engine might at first seem like not much, but when we talked to the Audi team, they explained that this means more fuel economy and a more compact engine, which is why the new Audi A4 promises an unbelievable average of 17.8 kms per litre! However, this does not mean less power because this beast can go from 0 to 100 km/h in 8.5 seconds (woah), with a top speed of 210 km/h. This is exactly why we can trust the Germans when it comes to automobiles, as always. 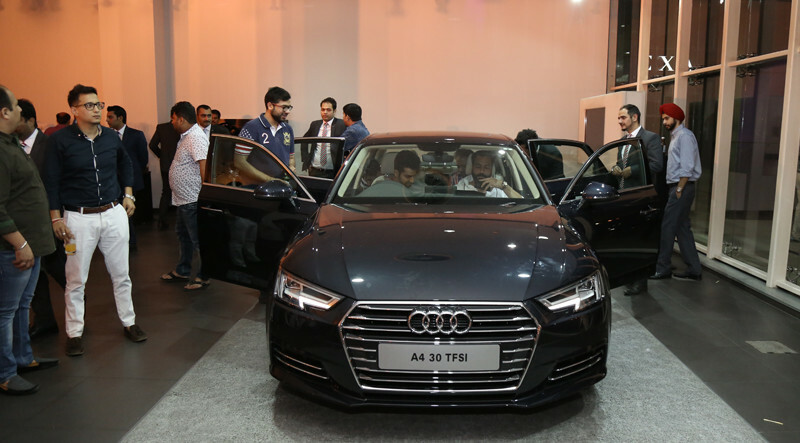 The Audi Gurgaon showroom, which boasts of an area a little over 13,000 square feet huge and showcases under its roof up to 14 cars, is the first and one of the largest Audi showrooms in the country. 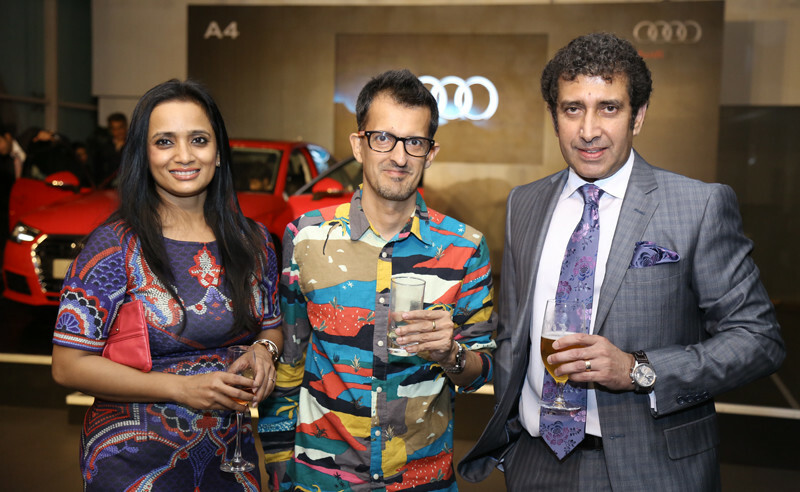 In the words of Rashy Todd, Managing Director of Audi Gurgaon, “The all-new A4 is more than just a car; a mobile personality which fits perfectly with the individuality that our new customers show.” He sums up the Audi Gurgaon experience as the best luxury car experience in India, backing it up with the fact that it's been winning Audi’s 'Partner of The Year' award in a row since 2012, and we couldn’t agree more! 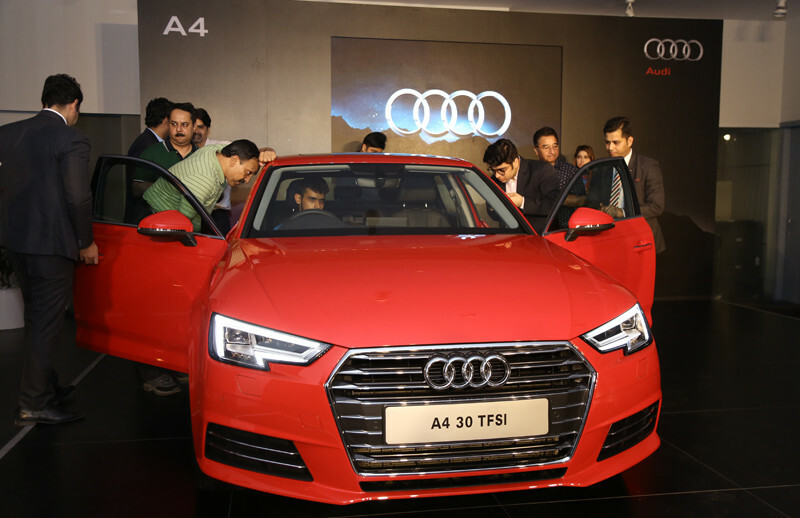 Clearly, the new A4 is living up to it’s tagline, 'Progress is Intense'. The car is competitively priced at Rs. 38.1 Lakhs onwards (ex-showroom Gurgaon) and a technology variant at Rs. 41.2 Lakhs. We can’t wait to get our hands on it, and drive this one, can you?